Though I don't normally procrastinate, I did with my review for Sweet Tooth. Thankfully, my deadline wasn't really looming: the review is for an American publication, and the novel will not be released in the U.S. until November. As I was circling around my desk and readying myself to write, I realized two questions that bothered me needed to be answered beforehand. The first was "What is Sweet Tooth about, really?" and the second was "Why aren't I warming very much to McEwan's writing strategies?" Both questions seem straightforward until the final chapter. The revelations in that last bit force readers to reconsider the entire book. At a glance, the mechanics of the plot involve narration from the present day. The apparent narrator, Serene Frome, recalls her days in MI5 in the early 1970s. As for her life between 1975 and 2012 we learn nothing. As such, the novel invites us into that seductive world of espionage and superpower rivalry and secret missions and double agents, and so on, and, better yet, from the point of view of a lowly clerical worker (who's also regarded as a beautiful but ultimately lowly woman in a manly man's world). As the plot progresses she's given a secret mission that requires her to deceive a young author: Serena poses as a representative of a funding agency that will enable this guy to write novels (and in doing so, he's also expected to produce literature that will serve the needs of democracy, capitalism, and generally the dominant ethos of the West). Serena falls in love with this graduate student, Haley, and grows more focussed on the state of her heart, her relationship with him, etc. And when, at (near) last, a journalist uncovers this secret plan (codenamed Sweet Tooth), MI5's scheme and her deceit become public knowledge. 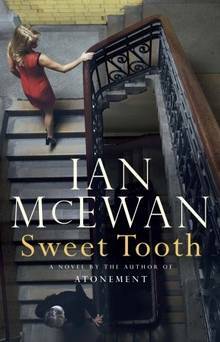 The final chapter reveals that the novel Serena's writer lover has been feverishly working on for the preceding several chapters of Sweet Tooth is none other than the story of Serena's history at MI5 and her stewardship of the Sweet Tooth operation. In other words, the novel is not McEwan narrating as Serena Frome. It is McEwan narrating as Haley who is narrating as Serena. The story, then, is not Serena's. Haley has wrested the story from her; and apparently for her betrayal of him he's told her story (and in doing so, arguably, made her appear vain and shallow and tiresome with her stereotypically feminine concerns). After the initial surprise of that last chapter, any reader is forced to re-evaluate the preceding story. If until the final chapter you've wondered (as I did) why Serena's narration seemed to move increasingly away from the subject that might appeal most to a reader (early 1970s spy games told from a woman's POV) and instead veer toward "Does he love me?" and "And then we made love," well, mystery solved. Ditto the lack of information about Serena after 1973. The novel shifts from one genre (ie, Tinker Tailor Solider Spy and its brethren) to a story about unreliable narration as well as, I suppose, betrayal and retaliation. When she re-rendered as a character in someone's plot (both McEwan's and Haley's) the personal investment Serena you've made in the story is necessarily reconfigured too. No longer truly about MI5 or espionage or the Cold War, Sweet Tooth turns into a small house of cards whose intricacy isn't especially dazzling or, to me, interesting. And when this edifice blows down, the loss barely registers. As for why I didn't close the book and say, "Wow, that twist sure caught me off guard and left me intellectually stimulated," it's because I felt tricked. And instead of being intrigued or mesmerized by the sleight of hand, my sentiment fell closer to being conned and ripped off.